Supplying Powerlink topstays, backstays, bow braces for crew racing shells, rowing shells, sculling shells, rowing boats. Located near Seattle, USA. Here a summary about how some of the crews rowing Powerlink backstays have faired this season. Chaminade HS rowed well all season long and topped it off with a win at the NY Scholastic Championships in the MJ8. Similarly, the men of Kent School completed their season with a win at the NEIRA and the NSRA Championships. The women of Marin Rowing Association showed consistent racing at the highest level. The lightweight women came in second at both the San Diego Crew Classic and the South West Youth Championships. The women’s eight finished the season in third place at the Youth Nationals. National Cathedral and St Albans, organized under the Combined Cathedral “umbrella” organization are two other teams which consistently perform well. 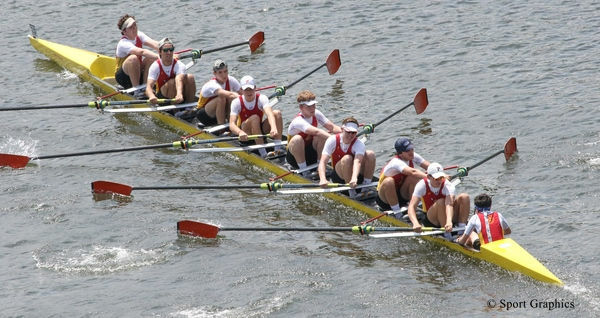 Their season highpoints are the Stotesbury Cup and the SRAA Championships. At Stotesbury the National Cathedral’s women won the Senior and 2nd eight and a week later at the SRAA Champoinships the Varsity women just missed the podium coming in fourth. The St Albans’ men rowed to a third place finish at both regattas. California’s Newport Aquatic Center crew had a stellar year. At the San Diego Crew Classic they won the men’s varsity and 2nd varsity races. At the South West Youth Championships they added a win in the men’s lightweight category and finished it all with the men winning the Youth Nationals. Another club with teams performing very well year after year is Sarasota Crew. The women and the men consistently win races in the South East and this year the men rowed to a third place at the Youth Nationals. Saugatuck Rowing Club can be added to these club consistently turning out top performances. Only listing the races they rowed in a boat with Powerlink backstays, their lightweight women opened the season with a win at the San Diego Crew Classic. The women’s team finished the season with winning the Youth Nationals. Sea Base Rowing started out the season with a bang, with the lightweight women winning at the San Diego Crew Classic. The lightweight men narrowly missed the medals by finishing fourth at the South West Youth Championships. The lightweight women then finished the season off with winning the B-Final at the Youth Nationals. 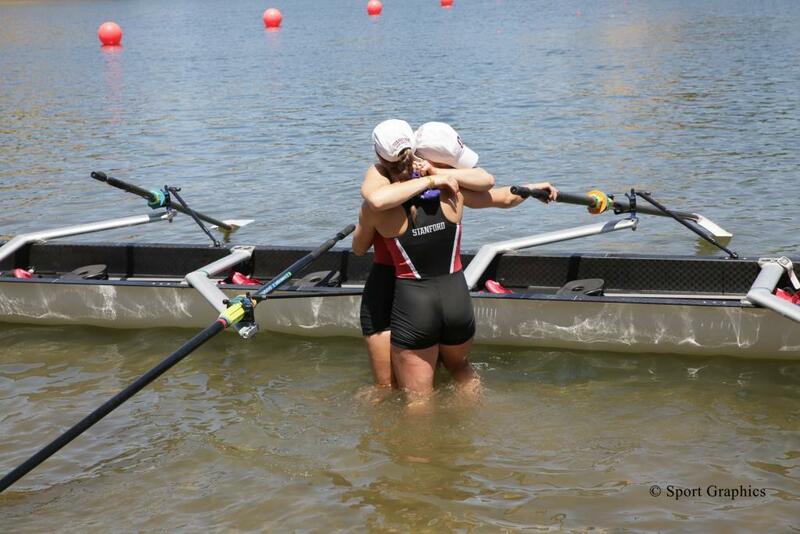 The Lightweight Stanford Women won every race before meeting all their rivals at the IRA Championship. For that most important race of the season they purchased and installed Powerlink backstays to finish the season just like they started it – at the top. This is just a list of crews who succeeded in finishing some big races ahead of most or all of their competitors. Many other crews rowed with Powerlink backstays and their achievements might very well have been incredible – if one only knew their stories about what they had to overcome. The main thing is that everybody gave it their all, rowed their best and most of all, still had fun doing it. Congratulations to all and have a great summer! The men’s junior 4-, 4+ and 8 travelled with brand new Powerlink backstays in their luggage to the Worlds. Both fours installed them on leased Filippi boats. The M4- placed 4th and the M4+ won the bronze medal! Due to an unforeseen last minute boat change, the M8 couldn’t use the Powerlink backstays they brought along. Happily, the women’s eight installed them on their Vespoli and rowed to a 5th place finish. Many thanks to the coaches and crews for their confidence in Powerlink backstays. The decision by various coaches – even by some who never used them before – to take them to the Worlds in their luggage, exemplifies that backstays are essential equipment for racing shells. Last but not least of all, congratulations to the entire Junior Team for your great racing! Some of you might not be satisfied with the end result because you expected more. No matter what, it was a great learning experience and you will benefit from it one way or another. As the rowing season is already approaching the time of head races, it is appropriate to take a look back and recognize some of the many teams who have raced with Powerlink equipped shells. Princeton’s 2nd varsity men’s lightweight eight raced consistently all season long. They won several races including at the Platt Cup, at the Wood-Hammond Cup and at the Princeton Invitationals. They closed out the season with a 3rd place finish at the Eastern Sprints. 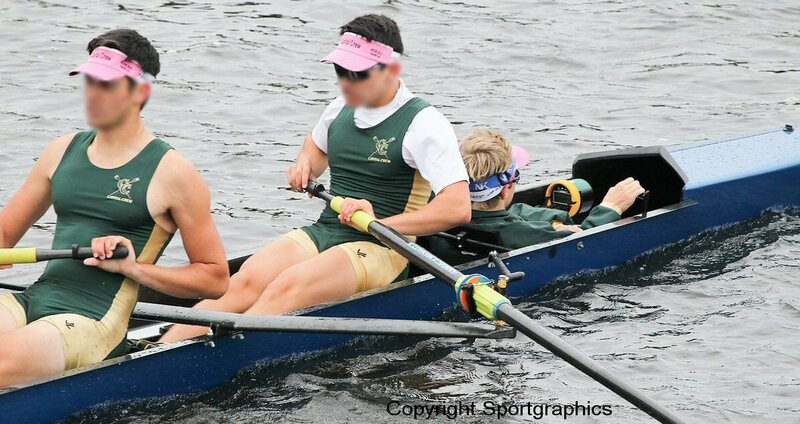 At the FSRA State Championships the Boys Varsity Eight teams of Winter Parks and Sarasota finished first and second respectively. Sarasota’s Girls varsity Eight team finished in second place. At the South East District Youth Championships Sarasota won both the men’s and the women’s eight. 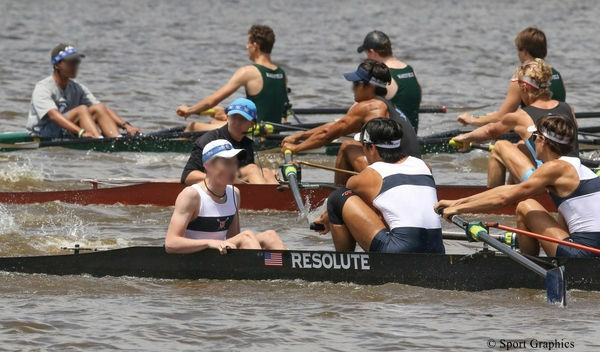 A week later, Cathedral’s Freshman Girls finished first at the Stotesbury Cup, Winter Park’s Senior Boys came in second and St. Albans’ Senior Boys finished right behind them in third place. Meanwhile at the Northeast Youth Championships, Saugatuck’s Lightweight Women’s Eight won ther race and the 2nd Women’s Eight finished theirs in second place. At the SRAA Championship the Women’s Junior Eight from National Cathedral finished in first place. A mixed Men’s Varsity Eight crew from St. Albans/Cathedral was the runner up, followed by the crew from Winter Park in 3rd place. 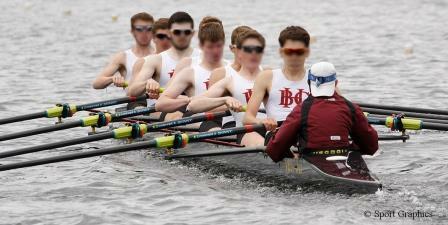 On the same weekend a few miles away, BCHigh rowed to great 2nd place at the NEIRA Championships. Stanford’s Men’s Varsity straight four rowed to a superb 3rd place at the IRA National Championships. At the US Rowing Youth National Championships Saugatuck’s Women’s Lightweight crew closed out their great season with another win. We congratulate all the teams rowing Powerlink backstays for their thrive to achieve the best and we thank their coaches for their confidence in our product. Crew Classic 2015 What a season opener! Three teams rowing shells equipped with Powerlink backstays were competing at the Crew Classics. Two finished first and one finished second! Each of the three shells was manufactured by a different company. 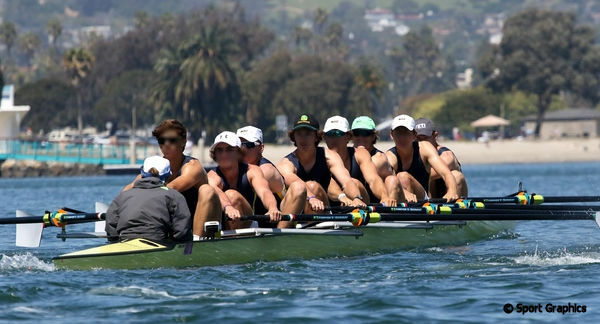 In a real nail biter, the Men’s High School Varsity team of Marin was winning its race just 0.1 seconds ahead of their Oakland Strokes rivals. It looks like we can look forward to more exciting races between these two great West Coast teams. The Women’s High School JV team from Saugatuck rowed their new shell equipped with Powerlink backstays to a second place finish. To top it off the Men’s 3rd Varsity team of Stanford rowed to a solid win in their race. Congratulations! 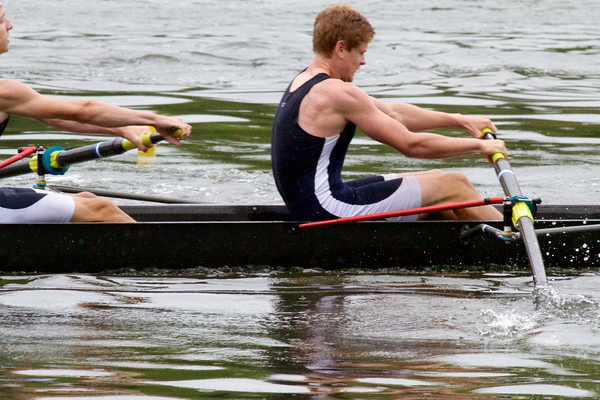 Head of the Charles 2014 This was another successful year for crews rowing shells equipped with Powerlink backstays. 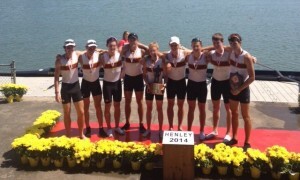 Last year one shell was rowed with Powerlink backstays, Marin’s Youth Men’s eight – they won. This year, there were five, two of them placing first. Marin Rowing Association won the hotly contested Men’s 50+ eight and Sarasota Crew won the Youth Men’s four. Sarasota lent a second four with Powerlink backstays to Capital Crew from Sacramento. That team placed 14th in the same race of 85 contestants. In the Youth Men’s eight race, BC High School rowed to a very respectable 4th place and Princeton National RA followed just 3 places behind on 7th place. Sarasota’s Youth Women’s crew placed 18th in a field of 85 entries. Congratulations to all! Capital Crew – Sacramento, in the boat borrowed from Sarasota. 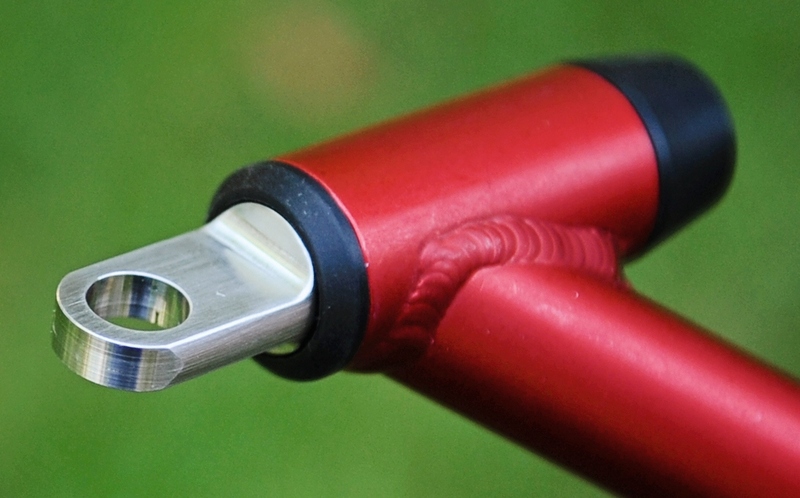 Muser, Inc. offers Stainless Steel Pin Connectors for Powerlink backstays. While hard anodizing aluminum provides very good corrosion protection at the pin for most environments, rowing in salty water can still lead to corrosion when the anodized surface gets damaged, e.g. during rigging and de-rigging. Manufacturing Pin Connectors from the same stainless steel as the pin itself removes any corrosion issues. The stainless steel parts are safely isolated from the aluminum tubing. This makes life easier for those who row in very salty water and for whom preventing equipment failure due to corrosion is a major and never ending task. More information about the corrosion prevention features of Powerlink backstays can be found on the Technical Info page. Royal Canadian Henley 2014 BC High School won the U19 Mens Eight race at the Henley regatta with a very comfortable 6 seconds over Princeton Nat’l Rowing Assoc./Mercer. Congratulations! and thanks to Steve McKiernan for providing the picture. Royal Canadian Henley 2014, BC High, U19 Men’s Eight, 1st place. USRowing Youth Nationals 2014 Five teams (Sarasota, Marin) rowing eights equipped with Powerlink backstays raced at the youth nationals and all five made it to the finals. Two of them won a bronze medal. Congratulations to all five teams and especially to Sarasota’s women and men who won bronze medals in their finals. USRowing Youth Nationals 2014, Sarasota Crew, WY8, 3rd place. SRAA Nationals St Albans School’s Men Varsity eight narrowly missed the bronze in their final and National Cathedral’s Women Varsity eight placed fourth as well. Great Racing! SRAA Nationals 2014, National Cathedral, WV8, 4th place. Congratulations to the Boys 1st eight from BC High School. They raced to a silver medal at the NEIRA in Worcester MA. National Schools’ Championship 2014 BC High School had another successful racing weekend in Saratoga Springs. Their Men’s 2nd eight won a bronze and the Men’s Varsity eight placed 4th in a tight race where the first four boats were less than 4 seconds apart. Versatility of Powerlink Backstays Marist bought Powerlink backstays for an older shell equipped with A-riggers. When the new shell with wing riggers arrived, the Powerlink backstays were transferred to the new shell. A longer outer tube had to be substituted for the shorter one originally bought. All the other parts could be used as they were. Knecht Cup Regatta 2014, Marist MV8, winner Petite Final (7th overall). Sarasota Crew had another great start into this year’s season. FSRA State Championship 2014, Sarasota, GV8, 1st place. >>> Visit our facebook page to see about the successes of some of the teams using Powerlink backstays. That’s Confidence Last season (2013), Sarasota won the men’s youth nationals in a loaned shell and Marin won the men’s youth Head of Charles race in a brand new shell. What do these two clubs have in common? Both won in shells delivered to them at the race venue. Both brought and raced with their own Powerlink backstays. [mu]. Never forget your Powerlink backstays! 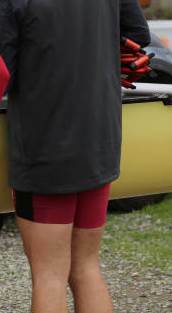 Stotesbury Cup Regatta 2013, St. Albans School, Senior 8, 2nd place. “I bought a set of Powerlink backstays when our stock rigger backstays were bending and breaking. I was immediately impressed with the construction, design and ease of installation. Most importantly, I noticed a better connection at the catch, translating to speed on the water. St. Albans and National Cathedral crews have converted all our shells to these backstays and we couldn’t be happier.” Ted Haley, Head Coach St. Albans School, Washington DC. Stotesbury Cup Regatta 2013, St. Albans School, 2nd 8, 3rd place.